Tania Mulry is an instructor in the Division of Media Arts + Practice at the USC School of Cinematic Arts Currently, she is teaching IML 309: Integrative Design for Mobile Devices, designed to explore the exciting array of design opportunities – and challenges – offered by mobile interaction and IML 140: Digital Media for Fan Engagement, exploring the expressive potential of multimedia as a critical and creative tool to expand audience participation and commerce. Tania is the CEO of Steamwork, a business strategy, development and marketing firm. One of her apps was awarded top honors by Microsoft, AT&T and Computer World for changing the face of school and charity fundraising through the use of mobile technology. Her firm consults and coaches software start-ups on rapid growth strategies. 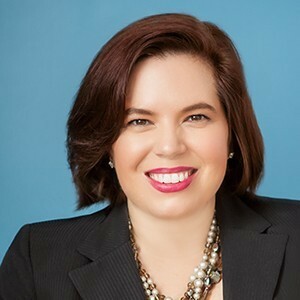 Tania has worked extensively in financial services and digital marketing arena for over 25 years, designing and executing strategies to drive commerce for companies like MasterCard, AT&T, JCPenney, Gamestop, State Farm, RIM, LG, Nintendo, Monster.com, the US Air Force, Frito-Lay, Huggies, and more. Tania holds 2 Fintech patents and earned a B.A from New York University in Economics and Near Eastern Languages & Literatures.